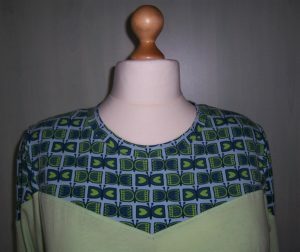 Hot on the trail of making the Green Butterfly print Fraser top and whilst the sewing machine was threaded up with the Pale Aqua thread, I scouted around for some more jersey that would co-ordinate. I found a length of Apple Green cotton jersey that I had purchased from Girl Charlee in their sale (according to my spreadsheet – November 2017 for £9.52). There are 2 metres of fabric – more than enough for two new tops especially when combined with the Butterfly and other print fabrics. To add to the delight, the fabric had already been laundered and is therefore ready to go&sew! 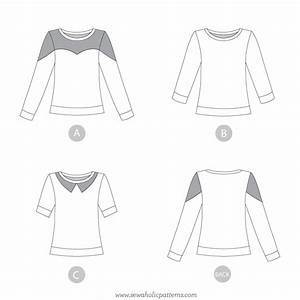 Back to the Fraser pattern, this time I would use version A which utilises different prints and/or colours of fabric. A great stash buster. It was plain sailing for the construction. 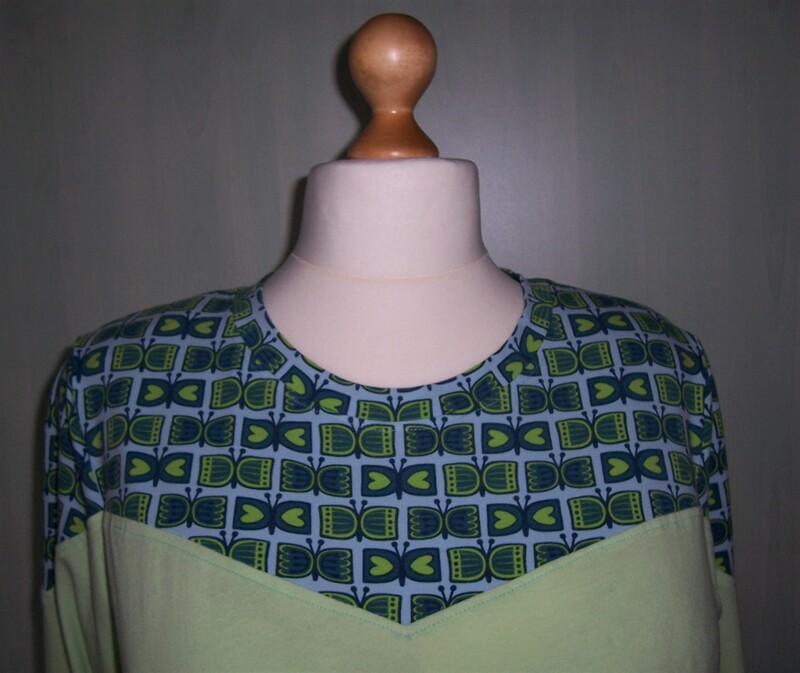 I lowered the neckline by 5/8 ths of an inch – and made a point of centring up the neckband. As a result there is an ‘interesting’ part of the print exposed at the neck. 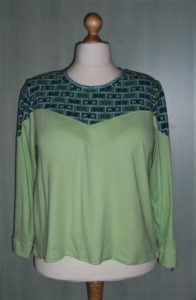 The contrast yoke and shoulders have been pressed down and top-stitched with a straight stitch (length 3.5). The only downside of this plain cotton jersey is that it is very fine/light. I encountered some difficulty when twin-needle stitching the hemline. It is a little ‘fluted’ but I can live with it.